To report a property or casualty claim, first access the appropriate notice by selecting the type of claim you need to report. 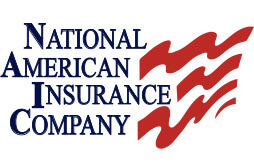 Upon completion, email the notice to claims@naico.com or fax it to 405-258-1329. When reporting a claim, provide as much information as possible so the adjuster can verify coverage and begin processing the claim in a timely manner. Provide a detailed explanation of what happened and supply names and contact information of witnesses. Claims can also be reported by calling 800-332-2210. Please have the following information on hand when calling: Policy number, named insured, type and description of claim, details such as the date, time and location of the loss and who was involved, receipts, bills, repair estimates and any other relevent claim data. No detail is too small. NAICO will make every effort to process each claim in the shortest time possible. To report a workers’ compensation claim, select the appropriate state. If the state isn’t listed, select the “All Other States” form. Please read the form instructions carefully. Upon completion, email the form to wcclaims@naico.com or fax to 405-258-3005.